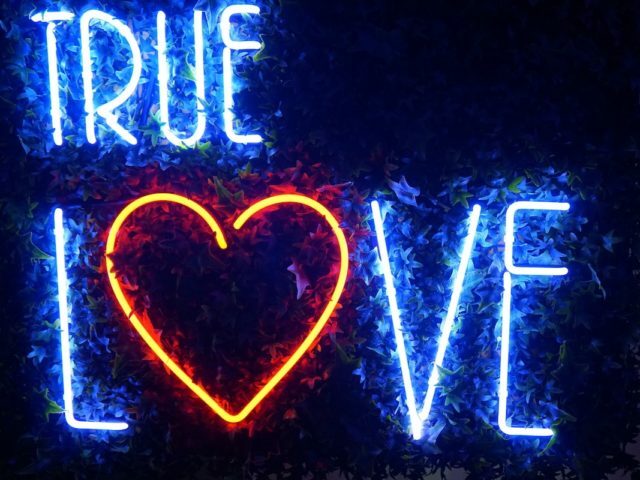 Our Wedding DJs in Camberwell are all full time professionals who will play a credible mix of music from Funk, Motown, 80’s & 90’s right up to present day Chart, RnB & House based on your personal preferences chosen from our online booking system… it’s your wedding so we play the music you and your guests want to hear. Please scroll down the page to see some sample Wedding DJ Packages as well as the range of extras we offer. Please click any of the images for additional information and remember that custom production (additional sound, lighting and special effects) are also available on request. 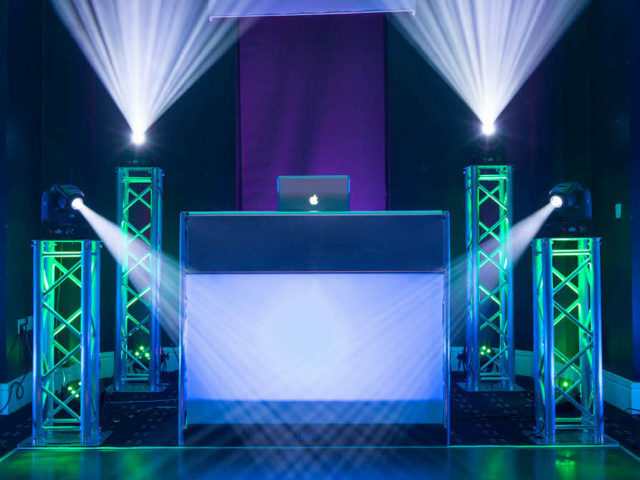 All our DJ packages have a sleek modern look, using an aluminium DJ stand, aluminium truss podiums and moving head lights. 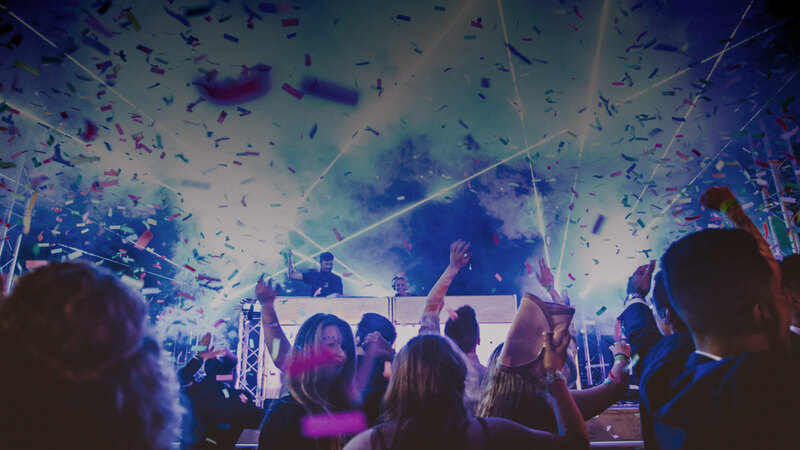 We have a very comprehensive online booking system which enables you to fill in your musical preferences for the night. We have listed the most popular genres from Pop, RnB through to Motown and Soul. We ask for a number from 1 to 5 to indicate how much, or how little, you would like played. You can also enter any specific requests and have the ability to upload a playlist. 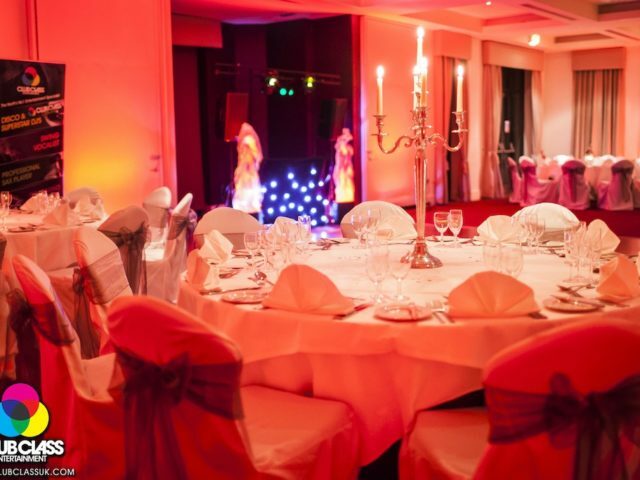 We will take care of every aspect of your evenings entertainment. 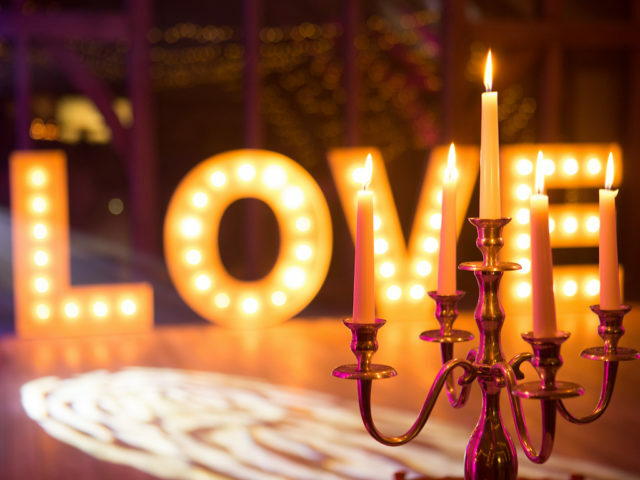 From personal consultations at our office or via Skype / FaceTime, to liaising with the venue about access times right through to introducing you as a newly married couple into the room to cut the cake and finally onto the dance floor for your first dance! To discuss making a booking, check availability or if you would like to arrange a personal consultation at our office please contact us. Club class you delivered the icing on the cake for our daughters 18th party! !We have been absolutely blown away with the talent of Josh and Sam . Never seen so many 18year olds dance the night away with music reaching such heights! You’ll be the talk of Newcastle! Thank you so much for being simply AMAZING! We hired the saxophonist for our wedding and she was AMAZING. We’ve had so many comments from our guests about how amazing she was and she really got everyone dancing. She worked very well with our DJ and it was like they’d worked together for years. If this is your thing book them. Best part of our entertainment. Just want to say how great the DJ and photo mirror were at our wedding this weekend. The photo mirror certainly was a hit with the guests and we had a lot of fun looking through the photos in the book the day after! We must say a massive thank you to the DJ on the night too. He kept everyone dancing with the songs we asked for and did a great job in getting an interesting show out of my brother (the Best Man). Also he did brilliantly even with a mini whirlwind of a 2 year old who thought he would like to have a go too! Would highly recommend! Thanks! Dj & sax made our wedding! Unreal! Honestly well worth it! Thank you. Everyone was so impressed! Josh from Club class entertainment was the DJ for the evening celebration at the Crab and Lobster on 24th August and wow was he amazing! The atmosphere was great and just built and built throughout the evening until everyone in the building was up on the floor! Had so many of our guests say they’ve never danced so much before at a wedding. Josh was great, really friendly and accommodating with our requests and Ian from club class was great to work with in the build up and was exceptionally responsive and professional. Thanks for an evening to remember guys! I chose club class for my wedding after doing a lot of research. I didn’t want a boring wedding dj so spent a bit more in the hope that club class would be the opposite of this...Josh was AMAZING! everyone commented on how good the dj was, the dance floor was full all night and he was a great character too. Cannot recommend club class enough, so professional easy to deal with, responsive to messages etc. Spend the extra it’s definitely worth it!! Can’t thank you enough for our wedding at The Principal last Friday. 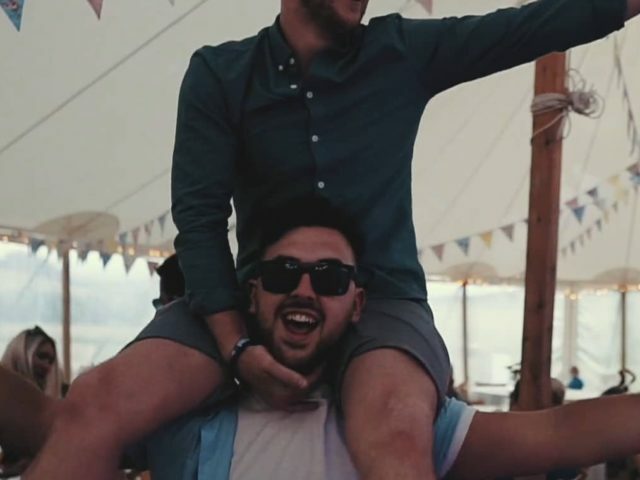 The music was everything we wanted and more.... I’ve had so many messages to say how good our DJ was.People were on the dance floor from the very first to the very last dance.Couldn’t recommend you enough, thanks so much! We chose Club Class for our wedding originally through recommendation from a friend. We went to the office to meet Ian and chat through what we were looking for and went for the premium package. Ian was incredibly helpful prior to the wedding with any questions or isssues we had and responded so fast! The day before the wedding, the set up guy sorted out the venue and unfortunately we couldnt be there to handover at the right time but he text me a full comprehensive list of instructions which was great! The week before, we had decided to do a slow dance start but then mixed it up with a fairly cheesy but fab first dance - the DJ (I cant remember his name!) sent me through the mix he had done .. we even changed the intro slow dance the day before the wedding so he remixed it on the morning of our wedding and sent it to me which was awesome! The dancefloor was full the ENTIRE night ... yes, we had made our own song list as we know our family and friends the best ... but I just LOVED the way the DJ had mixed it in so you could hear the next song drifting in! I cannot thank Club Class more for their DJ-ing, super ease of dealing with and they really made our dancefloor alive the whole night! THANK YOU! We had club class for our wedding and ricki was amazing! Highly recommend! We used Clubclass Entertainment for our wedding at the weekend. The vibe on the dance floor was kept alive all night. Wouldn’t hesitate to recommend. Thank you so much. 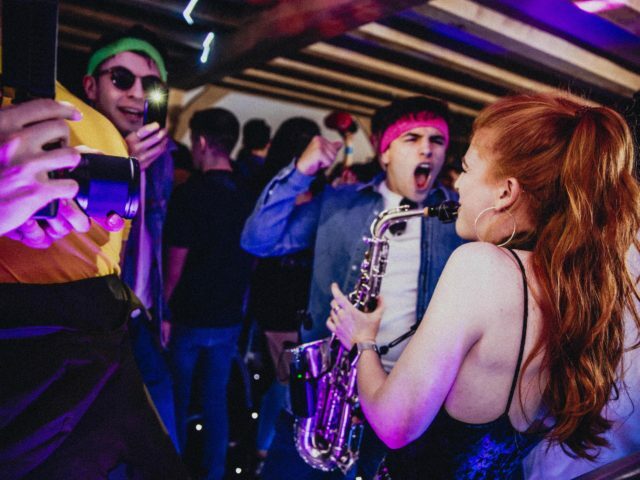 We hired the DJ & the Saxophone package for my daughters 18th and they were absolutely incredible. 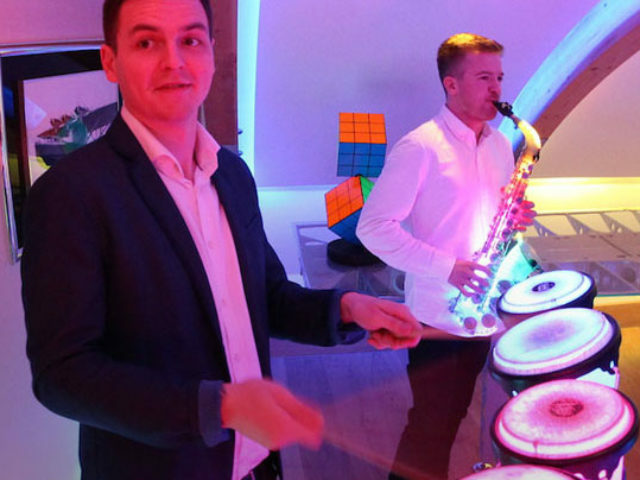 The organisation & arrangements were seamless and the interaction with the guests from Ian on the decks & Emma on the saxophone mingling between people as they danced was awesome. We will most definitely be using them again, as will other guests that were there on the night. Club class did our wedding last weekend at Aldwark Manor and they were amazing! So many people said how great it was.They did a remix for our first dance which was perfect! Highly recommend!! 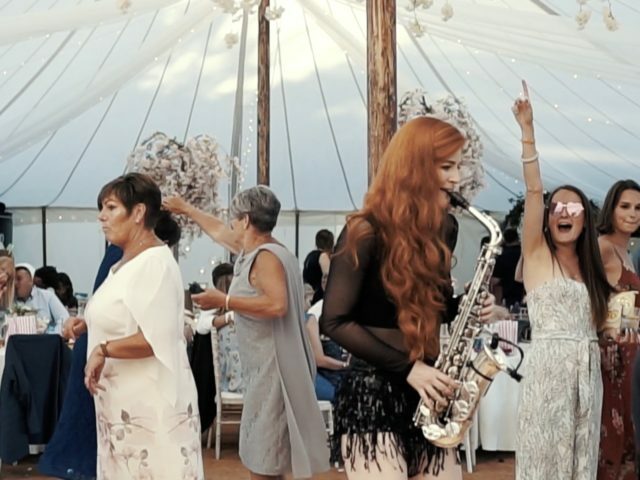 My husband and I had the dj and sax package for our wedding, it was unreal!! The dj played tune after tune that our guests loved and packed the dance floor out for the whole night!! The saxophonist Sam was brilliant. Honestly the best thing we organised for our wedding!! 100% recommend and would book again. Can’t recommend these amazing dj enough, they are fab! Thank you so much for making my wedding party the best night!! My husband and I hired the DJ and Selfie Mirror for our wedding on 9.3.18. We found the whole process seemless and easy. 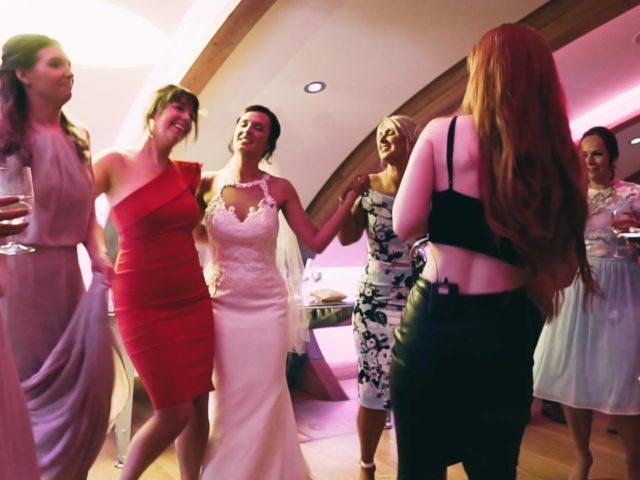 It was great to be able to upload our favourite/preferred playlist, but then we found that the DJ on the night did an awesome mix of our songs plus others that everyone just loved! He even got us having a Bride & Groom dance-off and it really was just a fantastic night. 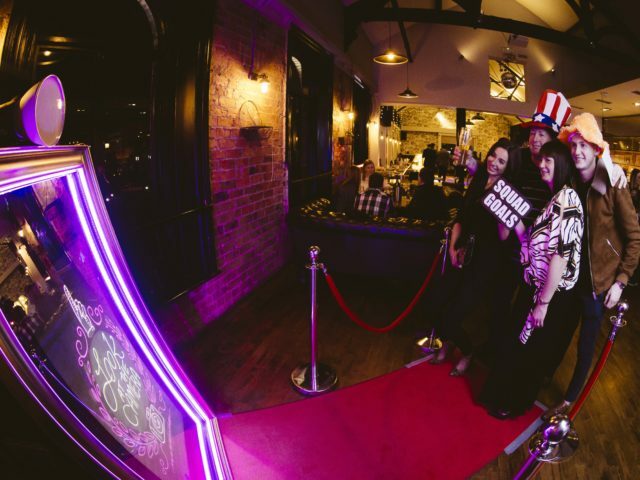 The Selfie Mirror went down a treat, as many of our guests hadn't seen one before, so it added a little 'buzz' to the night. Thank you to all of your team for making our day that extra special! We hired Club Class to provide a DJ for our wedding reception. Our DJ Josh came and spoke to us before the evening got going, to see what we wanted. He played every tune we requested and got people on the floor. Brilliant night. Thank you Josh! Me and my wife Rebecca had Ian and Ellie sax playing at our wedding and what a choice it was by picking them to play for us, as the dance floor was never empty and I have had a lot of people at the wedding asking who was the dj because everybody loved the music from start to finish. If I caould do my wedding day all again I would just ask Ian and Ellie sax to play the same set as it was just brilliant.100% recommend the team from club class..Thanks once again Neil & Rebecca. Great team, proud to work with. Not your standard or evem average agency. Far exceeds for artists as well as customers. 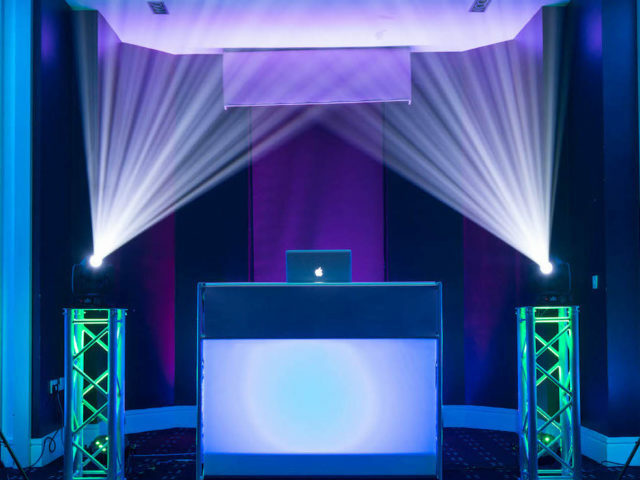 Club Class put together the entertainment and lighting package for my wedding. They were extremely professional from start to finish. We enjoyed the experience provided by Clubs Class and our guests commented on the great service too. Thanks ! Thank you to Ian and the Club Class team for delivering top grade entertainment at our wedding. The swing singer was amazing and kept our guests entertained superbly - he had such a great voice. Our DJ was brilliant too and really “got” us and our crowd. He was a crack up! We had a full dance floor all night and you can’t ask for more than that. Thanks once again. Our DJ was INCREDIBLE at our wedding on 26th August 2017. We had read reviews of Club Class so had high expectations, however I had no idea how good the DJ would be and the set was just spot on based on our music style preferences! He just got it, did his thing and everyone had a ball. The dance floor was full all night and all guests commented on how fabulous the music was. Thank you so much - I would highly recommend!!! Just a quick line to say thank you for your hard work last Saturday night. You contributed considerably to the celebrations and many folk have commented on how much they enjoyed the dancing and how much the music added to their appreciation of the day. Booked the selfie mirror for our wedding. Highly recommend to anyone looking, the photos look great and the guestbook was a really nice touch. Lots of our friends asked where we got it from as they'd never seen one before. 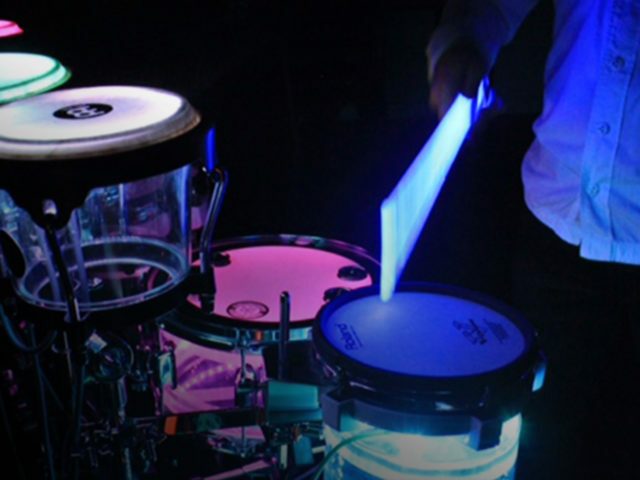 We had these guys at our wedding and they were amazing. Played such a great mix of music, had all our requests and the guy was lovely!! Would highly recommend!! We had Club Class at our wedding last weekend and Joshua did a fab job. He made sure all the songs our guests requested were played and ensured everyone got involved! From boys vs girls to a dance off between the bride and groom, everybody had an amazing time and commented how great the DJ was. It was the perfect ending to an amazing day, and we cannot thank you enough! I used Club Class for my daughter's BatChayil disco and they were amazing.Ian got the music just right and kept all the kids entertained.Professional and friendly service and would highly recommend.Also provided 2 dancers who made the evening and were great guys.A big thank you to you all! 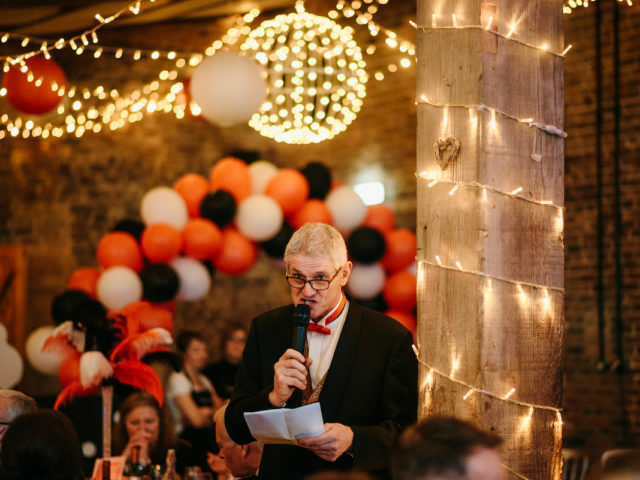 Club Class provided the music for the evening reception at our wedding at Barmbyfield Barn last October & they were brilliant. Really easy booking system with flexibility to select the songs & genres you like. We were even able to share our Spotify playlist with them! Set up was really quick & they came the day before which was perfect for us because it didn't distract guests. The DJ on the night was brilliant & played some absolute tunes which kept the dance floor busy all night - thank you! 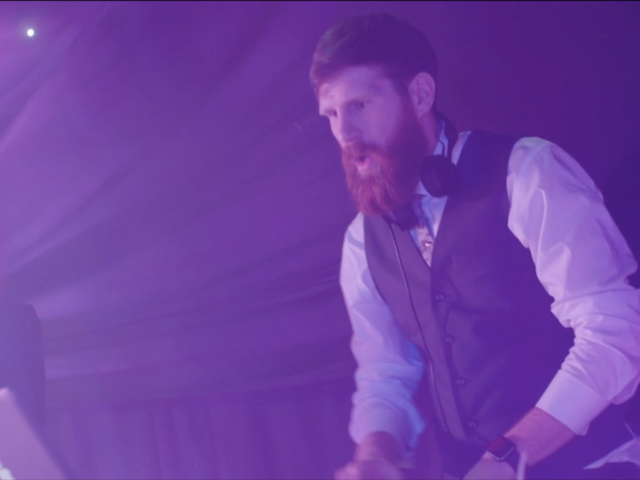 We had Club Class Entertainment DJ at our wedding last month and couldn't fault them! Great service, lovely team, perfect communication and amazing DJing! 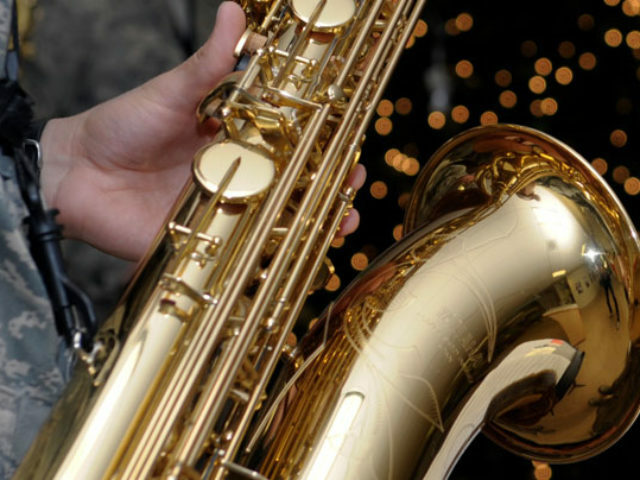 The guests loved the music - we can't thank you enough and wouldn't hesitate to recommend. We used the services of Club Class for our wedding following the recommendation of our venue. Our wedding guests were half French and half English, so we were concerned about the music. However, Club Class was very flexible, and we sent them some French songs to add to the playlist. On the night, the DJ felt the room very quickly and adapted the songs to play to get people dancing! We were delighted, and we would recommend Club Class 100%!!!!! Outstanding service: reliable, extremely helpful and flexible. Ian came to do a joint 30th/60th for us and made the evening with his excellent mix of new and old music to keep everybody on the dancefloor (even managing to please a particularly persistent Daniel Bedingfield fan!). Couldn't recommend highly enough and will definitely be in-touch for the next party. Fantastic service. Thank you so much for the brilliant DJ for our wedding at Middleton's on Saturday. Guys were all extremely friendly and played fab music to get everyone up dancing even playing requests when asked. Can't recommend enough. Thank you! BRILLIANT!!! Club class DJ Josh was absolutely fabulous! Made sure everyone was up on the dance floor at our wedding reception. Photo booth- again faultless, staff brilliant and everyone had a great time. Highly recommended. Thanks for a memorable night! Club Class provided a full DJ set up at my party recently. I wasn't sure what music I wanted but they played just the right thing for everyone. I would definitely recommend them!! I recently hired club class for a family event, they were friendly, organised, reasonably priced & delivered exactly what we wanted. We couldn't of asked for a better service & I would strongly recommend them to anyone & look forward to our next event using their services. Amazing DJ.... Fantastic service for every event. Couldn't recommend anyone more professional. Great DJ, fantastic service and made the wedding reception really special! Would recommend to anyone looking for a DJ for any event! 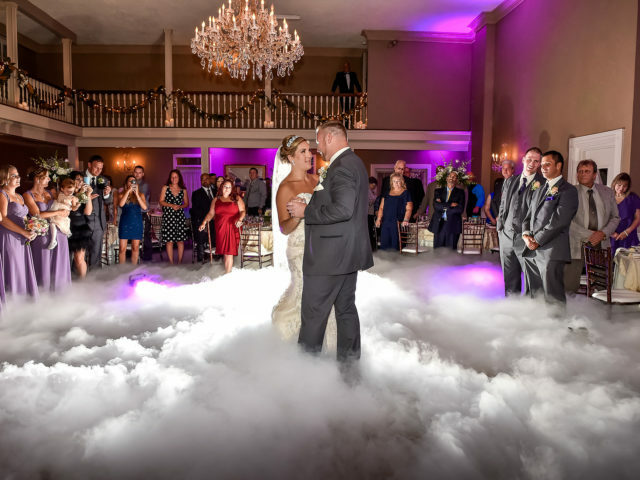 Despite getting a DJ in our wedding package, having experienced the Club Class setup at other events I'd been to, we wanted to book them, particularly as we had quite specific ideas about the type of music we wanted. So glad we booked Club Class - Josh, the DJ we had was amazing, got the vibe of the night perfectly and wouldn't hesitate too book again if we ever need a DJ! Quality service. Hired various pieces of equipment with no flaws or hold ups. Spot on. Great service and great guys. Strongly recommended. Club Class provided the disco for my wedding reception and they were awesome!! The music had just the right variety to cater for all the guests - I cannot write highly enough. The sound was great and the light display was fantastic. Without doubt, I would recommend these guys to anyone. Top work! Club Class Entertainment provided a fantastic, memorable and professional service to my friend's recent wedding. The setup was impeccable, song choice and the DJ made the night! Everyone commented on the Disco and said how impressed they were. I would highly recommend them to all my friends and family, and you should too! Great service!! Would recommend and use again and again!!! You did a great job for my 18th birthday. Loved the fact I had a mini nightclub in my garden and the dj was great! Thank you for getting me and my mates entry into Tokyo as well! Copyright © 2018 Club Class UK. All rights reserved.